This is a notice from the Fukuoka City Science Museum. Exactly 50 years have passed since the Apollo 11 landed on the Moon. 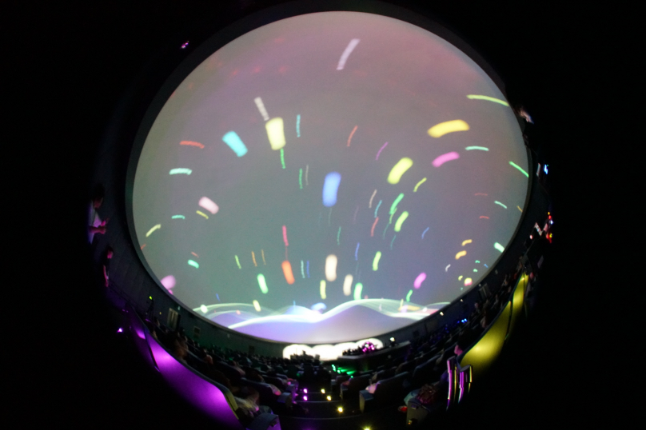 This time, in joyous commemoration of the Moon landing, we at the Fukuoka City Science Museum have organized the Planetarium Live, where DJs will invite you to traverse through space. We will introduce you to the Moon, Venus, and even planets yet unknown, through a selection of background music on which every piece is related to a particular celestial body. The highlight of this tour will be, besides the music and the images that keep changing in real time, our exclusive special commentary about the Moon and Venus. We invite you to enjoy a journey through space, on a way you have never experienced before. 【Date and hour】6:30 to 7:30 p.m. on Saturday, March 30, 2019. 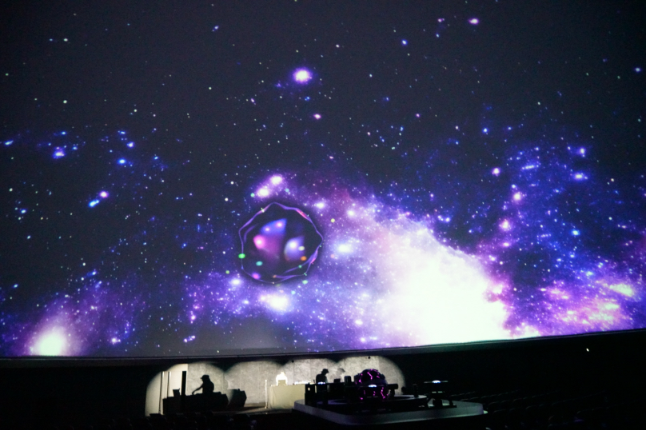 【Venue】Fukuoka City Science Museum, 6th floor, Dome Theater (Planetarium). 【Entrance】All seats are unreserved, and the cost of admission is ¥2,200 (including tax) for every person of middle school age or older, and ¥1,000 (including tax) for kids of elementary school age or younger. You can buy tickets at the general information ticket counter, placed on the 3rd floor of the Fukuoka City Science Museum, or online (at Peatix). 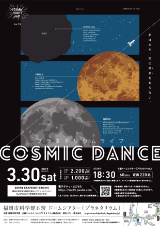 【Planning】Konica Minolta Planetarium Co., Ltd. The “Starry Night Jam” is a special event, where guests from diverse fields are invited and brought together under the Dome Theater. Please look forward to our future programs. Date and hour: 6:30 to 7:30 p.m. on Saturday, March 30, 2019. 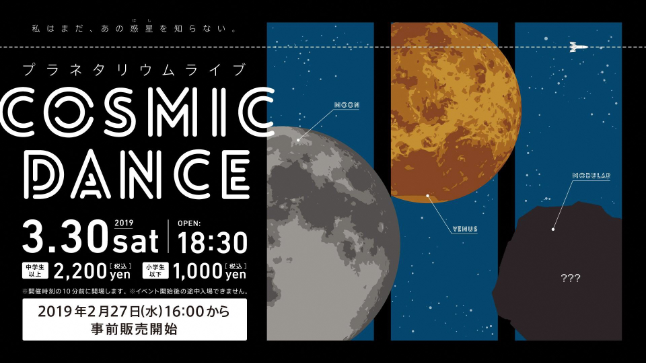 Venue: Fukuoka City Science Museum, 6th floor, Dome Theater (Planetarium). Entrance: All seats are unreserved, and the cost of admission is ¥2,200 (including tax) for every person of middle school age or older, and ¥1,000 (including tax) for kids of elementary school age or younger. Performers: MARU303 and Nakao Monchi. Organization: Fukuoka City Science Museum. Planning: Konica Minolta Planetarium Co., Ltd.